After Christopher Nolan's Batman trilogy won the hearts of the public, it would be intimidating job for any filmmaker to reboot the heroic Bat vigilante for the big screen. Zack Snyder accepts the challenge and returns from Man of Steel to take the directorial reins - adapting a script from Chris Terrio and David S. Goyer. The result is Batman v Superman: Dawn of Justice, a watch soaked in a brutal nihilism and stirring visual bleakness that toys with the ideology of superheroes from a contemporary perspective. Left incensed by the destruction caused by Superman (Henry Cavill) in his battle with General Zod, Bruce Wayne (Ben Affleck) attempts to stop the hero. Meanwhile young tycoon Lex Luthor (Jesse Eisenberg) attempts to take matters into his own hands to wipe out the Superman, whilst political and social unrest about the Kryptonian's unchecked powers rises. Goyer and Terrio have not only the responsibility of continuing the Superman arc from Man of Steel, but introducing another iconic hero in the form of Batman. In doing this, we have the traditional Bruce Wayne origin story which is dealt with in the film's early stages in an efficient, moderately-emotive manner leaving them to put their unique spin on the Gotham tycoon - which picks up watching Wayne's perspective of the Zod attack and exploring the personal destruction he faces. With this Wayne's motives and disdain for Superman are quickly established leaving exactly how he is going to reek his own brand of justice to make up the bulk of the narrative, whilst also giving us time to settle into Affleck's take on the character. Affleck's casting is one of the finest elements of Batman v Superman. The actor's take on the character feels reminiscent of Frank Miller's The Dark Knight Returns' version - with this Batman feeling a little more world weary, but with an angry lust for vengeance. Affleck physically fits the bill and convinces as an almost weaponised Batman both armoured and versed in brutal physical combat. 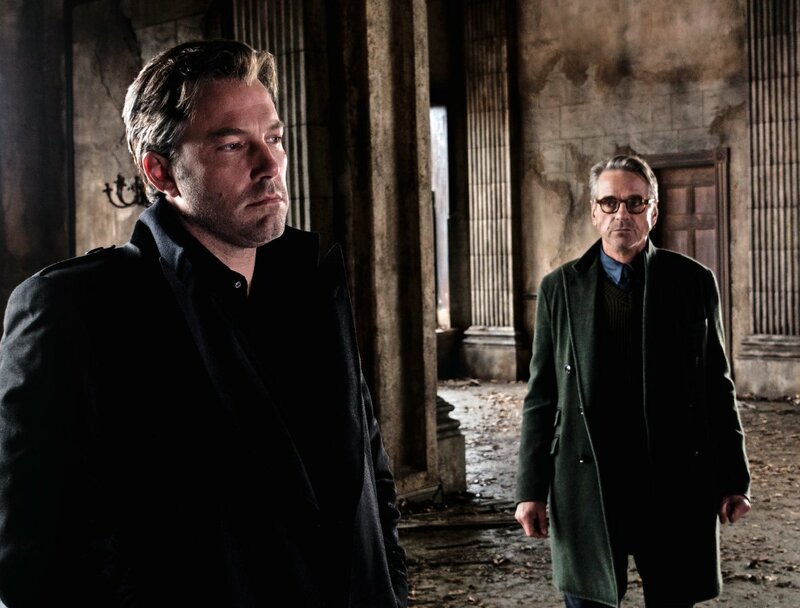 We also have a fresh take on Alfred with a cold and steely Jeremy Irons making the perfect partner for Affleck's darker Gotham Knight. In Metropolis, Superman has been portrayed as a God and Synder does a commendable job at presenting the hero as a deity descending from the skys in an number of emotive rescue sequences. However, Goyer and Terrio unveil seeds of unease and growing dissent as citizens turn against the hero. This feels like it could have gained from further development with perceptions to the hero changing almost between scenes - however, a later sequence set in the Capital Building makes up for that. This is where some of the problems arise between Batman v Superman - with a runtime that spans 150 minutes there should be sufficient development between key scenes and narrative shifts - yet this can occasionally feel lacking. Through this character motivations can seem misjudged and scenes can have a distinct, standalone quality that fights against narrative cohesion. Within this, however, Snyder interestingly examines the value of the superhero in an age where social and political mistrust, terrorism and cruelty fill the media. This is a landscape where the likes of Luthor thrive and heroes struggle to do good. Within this tenuous narrative thread we have introductions to Lex Luthor - with your opinion on the character likely to be dependent on your tolerance level to Jesse Eisenberg's snarky, nervous demeanour. More successfully we have our first look at Gal Gadot's Wonder Woman who appears throughout the narrative fleetingly, yet impresses enough to get us excited for her standalone film from Patty Jenkins. 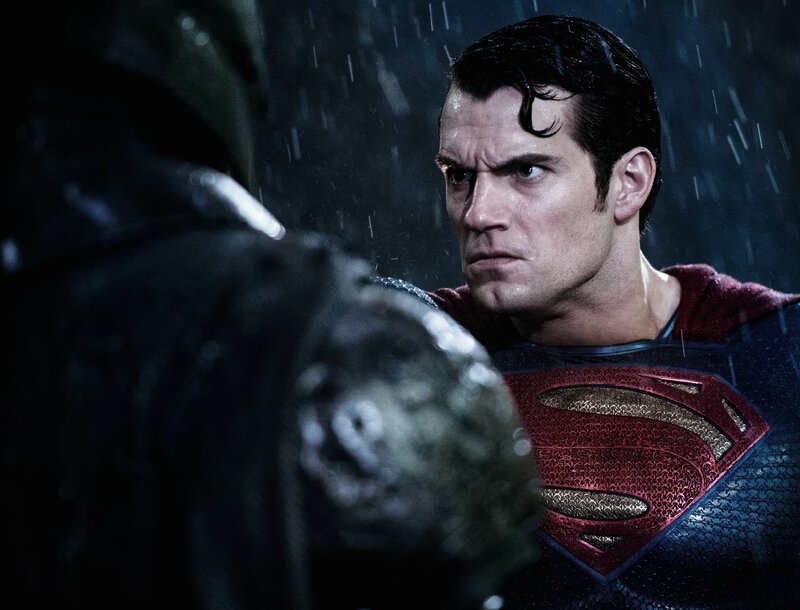 Further issues arise in a third act which repeats many of the mistakes made in Man of Steel's chaotic finale. Whilst the battle between our titular opponents is done with a crushing brutality that ultimately satisfies, the threat which brings them together - in this case, Doomsday - sees proceedings turn into a chaotic attack of flames, crashing rubble and explosive destruction. Nonetheless, Batman v Superman still feels stylistically impressive and visually arresting - presenting a superhero film at its most refreshingly bleak and nihilistic (free from the Marvel sheen). Snyder's take is an unapologetically grim one - where Batman brands his victims and each blow feels like a hammering punch to the gut. It's a refreshing change of tone. Batman v. Superman: Dawn of Justice is an unapologetically brutal welcome to a new DC universe that has us excited about its future - particularly one revolving around Affleck's gritty new Batman.